A great example is Oregon Health & Science University (OHSU). The school’s campus at Southern Oregon University offers bachelor of science in nursing (BSN), master of science in nursing (MSN), doctor of nursing practice (DNP), and doctor of philosophy (PhD) in nursing programs. OHSU also has an endless number of bridge and accelerated programs that allow students to complete their degree in less than two years. For entry-level education, a good local option is Rogue Community College. This school offers a one-year certificate program for aspiring licensed practical nurses (LPNs) and an associate of applied science program for aspiring registered nurses (RNs). Indeed, the nursing programs in Medford, Oregon, reflect the common nursing roles in the metro area. Medford is home to 100 nurse practitioners (NPs), 1,860 registered nurses, 190 practical nurses, and 560 certified nursing assistants (CNAs). The salaries and educational requirements for these healthcare professionals vary by role. For example, an advanced role such as NP will require a lengthier degree program and command a higher salary. Nurses in this role must hold an MSN, DNP, or PhD degree. NPs must also earn certification in a chosen specialty area. Common focal areas include acute care, cardiology, family practice, gerontology, neonatal care, pediatrics, psychiatric-mental health, and women’s healthcare. The average NP in Medford, Oregon, earns $114,540 per year, and the top decile earns $145,000 or more in annual pay. Registered nurses must hold a hospital diploma, associate’s degree in nursing (ADN), BSN, or direct-entry MSN. All graduates must pass the National Council Licensure Examination for Registered Nurses (NCLEX-RN) before commencing practice. The typical Medford RN earns about $80,000 per year. Those in senior positions, particularly MSN-holders, can earn upwards of $100,000 annually. Besides the potential to earn an above-average salary, graduates of Medford’s accredited nursing schools will encounter a robust job market. The city’s major healthcare employers include Providence Medford Medical Center, Asante Rogue Regional Medical Center, and Asante Ashland Community Hospital. 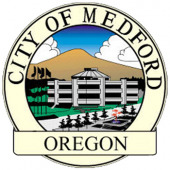 Start learning the skills you need to land a nursing position in Medford, Oregon. Browse our complete list below of accredited nursing schools in the metropolitan area.